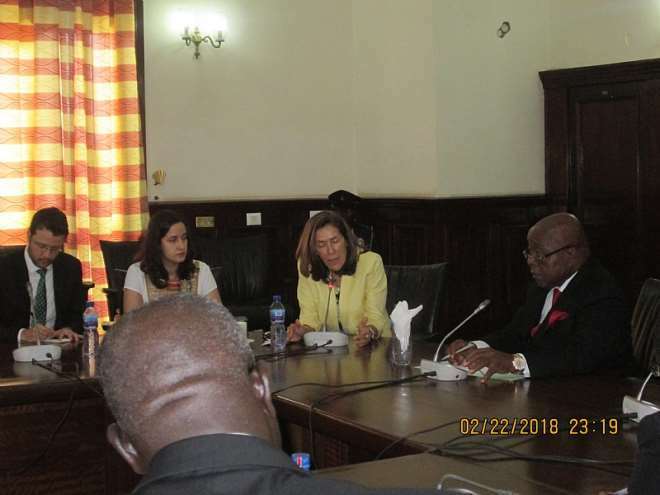 Her Excellency Maria Elisa de Luna,the Brazilian Ambassador to Ghana has expressed optimism that the cordial relationship between Ghana and Brazil would grow from strength to strength through bilateral educational and sports spheres.She was hopeful that the Ghana-Brazil Friendship Societythat had already existed over the years would continue to strengthen this cause of cooperation. She suggested that a meeting be arranged with the twopartner countries to discuss share matters of common interest on agriculture such as cocoa and other fields, such as oil production as commercial producers.The ambassador said this when she paid a courtesy call on the Speaker of Parliament,Rt. Hon.Prof.Aaron Michael Oquaye on Friday,23 February,2018. Prof.Oquaye said the constantoverthrow of constitutional governments had only led to the retrogression in the development of those countries.Ghana , he said, was celebrating 25 years of continuous democratic rulesinceits new dispensation, starting from 1993.He was appreciative of the fact that the envoy had come to parliament to strengthen the ties between the Parliament of her home country and Ghana. 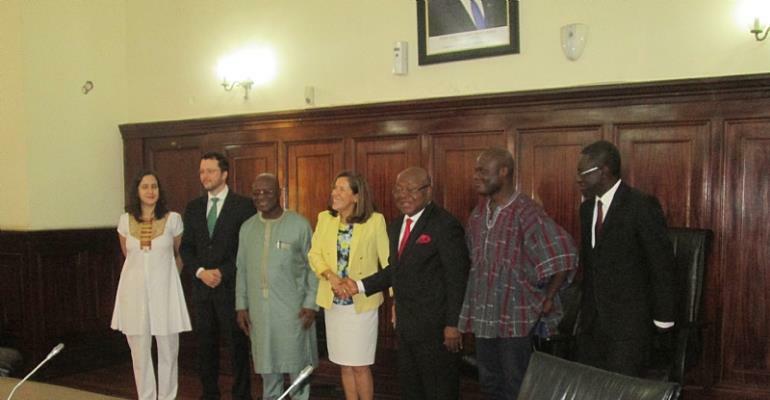 Hon.Kyei Mensah Bonsu ,Majority Leader,said Ghana had a lot in common historically and geographicallythat would enable the two countries to build a bridge of mutual cooperation and share experiences in oil production and to learn more about how to counter the deforestation menace that is gaping the two countries in the face as their forest reserves had beendepleted. Hon Ibrahim Ahmed,Minority Chief Whip also touched on the geographical and historical similarities of both countries and asked for closer ties in the areas of education and sports. 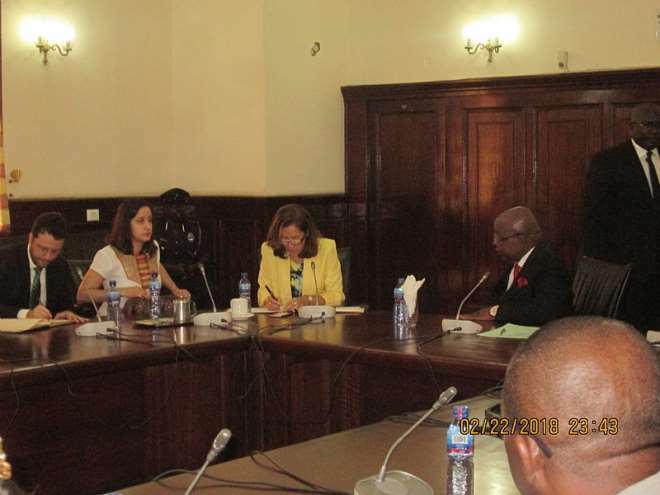 Deliberations continued on matters of mutual interest especially galvanizing the Ghana Brazilian Parliamentary Association.